Barb: I’m not sure how the Wickeds got to know Montana-based author, Leslie Budewitz. It could have been through Sisters in Crime National, or through the Guppies (Great UnPublished, the online chapter of Sisters in Crime). Or it could have been because she, Sheila, Jessie and Julie are all Berkley authors. Or it could have been because she and Liz were both nominated for Best First Agatha’s last year. So many connections. Anyway, I was thrilled when Leslie asked me to blurb the first book in her new Spice Shop Mystery series, and happily gave it my hearty endorsement. Since this is her publication month, we invited Leslie around for a chat. Here’s a glimpse at Assault and Pepper. After leaving a dicey marriage and losing a beloved job in a corporate crash, Pepper Reece has found a new zest for life running a busy spice and tea shop in Seattle’s Pike Place Market. Her aromatic creations are the talk of the town, and everyone stops by for a cup of her refreshing spice tea, even other shopkeepers and Market regulars. But when a panhandler named Doc shows up dead on her doorstep, a Seattle Spice Shop cup in his hand, the local gossip gets too hot for Pepper to handle—especially after the police arrest Tory Finch, one of Pepper’s staffers, for murder. Barb: We’re so excited about Assault and Pepper. With its Seattle setting, it is part of what is almost becoming a mystery sub-genre, the Urban Cozy. 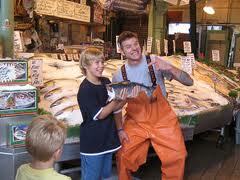 Why did you choose Seattle and its famous Pike Place Market for this series? Leslie: I fell in love with the Market as a student at Seattle University. Later, as a young lawyer working downtown, I tried to eat my way through the Market once or twice a week. I’d start at the front entrance with a slice of pizza from DeLaurenti’s walk-up window, browsing the covers of the magazines at the First & Pike Newsstand— eyes only until my hands were clean! I’d sip a sample cup of tea at Market Spice while watching the fishmongers throw salmon and amuse the crowd with their comedy routine, pick my produce and cheese for the week, and end with dessert—a hazelnut sablé from Le Panier, the French bakery, or a Nanaimo bar from a now-departed shop in the warren off Post Alley. So naturally, when I thought about setting a mystery series in Seattle, the Market beckoned. Despite her name, Pepper Reece never intended to run a spice shop. But when her life fell apart, she found unexpected solace—and employment—in bay leaves. The heart of a cozy is the community. The amateur sleuth investigates because she has a personal stake in the crime and in making sure the right people are brought to justice. She may think law enforcement officers are on the wrong track, or her role in village life may give her insight and information they lack. The professionals’ job is to restore the external order by making an arrest and prosecuting. Hers is to restore internal order within the community. And that holds just as true in the urban cozy, where the community is a subset of the city, as in the more common rural setting. Plus I get to spend hours a day in a city I love while still living in the Montana woods. Leslie: Oh, good question! Pepper is ten years older, a “life begins at 40″ gal. Days after her 40th birthday, she stumbled over her police officer husband and a meter maid—she still can’t say “parking enforcement officer”—practically plugging each other’s meters in a back booth in a posh new restaurant, on an evening he was supposed to be working an extra shift. She left him and bought an unfinished loft in a century-old warehouse downtown. Months later, her job managing staff HR at a major law firm disappeared when the firm imploded in scandal. So she bought the Spice Shop. As her BFF Kristen says, she moves like a glacier on the small stuff but makes major decisions in an instant. Erin is thirty-two, a Montana girl who moved to Seattle after college and returned home ten years later to take over the struggling family grocery and turn it into a market specializing in local foods. She thinks she knows the place, only to discover it changed while she was away. She’s single and looking, and while she faces some choices, she’s far less ambivalent about love than Pepper! Running a family business creates both closeness and tension. Her father was killed when she was a teenager, in a still-unsolved hit-and-run—and I promise to deal with that in the next installment, Butter Off Dead, in July 2015! Both Pepper and Erin love to eat and cook. They adore retail, their friends, and art, and are deeply committed to being part of their communities—including putting their lives on the line for justice, when necessary. Especially if dinner and drinks will be served afterwards. As for what makes a story Pepper’s or Erin’s, I suppose it’s whether it involves a dog or a cat! And whether it is more naturally urban or rural, who else is involved, and what past crimes are rearing their heads. Barb: Your series protagonist, Pepper Reece, is the owner of the Spice Shop. What kind of research did you do into spices? What’s the most surprising thing you learned? Leslie: In our house, we spell research E-A-T. I’ve spent hours in all three of the spice shops in or near the Pike Place Market, and I’ve poured over catalogs and cookbooks, and read about the history of spice. It’s quite nasty. Wars were fought over nutmeg and cloves—and empires and fortunes won and lost. The most surprising bit is that while most of the spice trade occurred before America’s emergence, your part of the country turned to the pepper trade after the Revolution, to restore its economy. Between 1795 and 1891, nearly a thousand voyages were made between the states and Sumatra, most of them from Salem. Barb: What are you working on now? Guilty as Cinnamon, the second Spice Shop mystery, will be out in December, and I’m working on the third, tentatively titled A Thyme to Kill. I’m also learning the ropes of Sisters in Crime, the international organization dedicated to promoting the advancement, recognition, and professional development of women crime writers, as vice president. This fall, I’ll become president, and if I survive, I’ll be elevated to Goddess. And who doesn’t aspire to that? Thanks for having me, Wickeds! Readers: Are you intrigued? Do you have questions or comments for Leslie? What do you think about urban versus village cozies? What’s your spiciest spice story? Let us know. 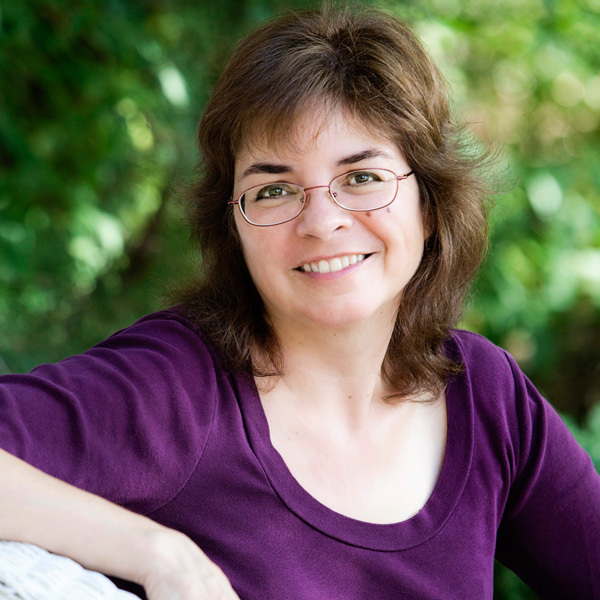 Leslie Budewitz is the only author to win Agatha Awards for both fiction and nonfiction—the 2013 Agatha Award for Best First Novel, for Death al Dente (Berkley Prime Crime), first in the Food Lovers’ Village Mysteries, and the 2011 Agatha Award for Best Nonfiction, for Books, Crooks & Counselors: How to Write Accurately About Criminal Law & Courtroom Procedure (Quill Driver Books). She lives in northwest Montana with her husband, a musician and doctor of natural medicine, and their cat Ruff, a cover model and avid bird-watcher. Coming in July 2015: BUTTER OFF DEAD, third in the Food Lovers’ Village Mysteries! Welcome, welcome, Leslie! I love the Jewel Bay series, and your new book is right on top of my TBR pile (to be demolished next week when I’m laid up after shoulder surgery). Also love Seattle and Pike Place Market. Several of my southern California college friends ended up in Seattle, along with a now-ex brother- and sister-in-law, so I’ve visited quite a lot. Thanks, Edith. Pepper is a native, so cloudy with a chance of rain is normal to her. I moved to Seattle as a college freshman, from the sunny regions of south-central Montana — I’m not kidding; winters in Billings are cold and bright — and the rain and damp were a bit of an adjustment to me. I got used to it — it’s not a big deal if you dress right. And everybody in Seattle and Tacoma cheers when “the mountain is out” — meaning you can see Mount Rainier. Awesome. And what a better reason to cheer than what we did when I was growing up in southern California – when the mountains were “out” (and they were a mere half hour distant by surface streets) it was because the smog had blown away. I’ve seen the Market on TV and watched them throw the fish. I’ve always wanted to visit. Now I will through these books. Thanks. My pleasure, Gram! The fish throwers are a hoot — I’m sorry I’m not there this week, as the first wild Alaska halibut is just in! My sister lives in Seattle and I love Pike Place Market! My series that is “in the drawer” is set in Seattle. Thanks for joining us today and thanks for all of your hard work that benefits all of us who are members of Sisters in Crime! Thanks, Sherry! I just made a tour of the NW — flew to Seattle for a visit and launch, took the train to Portland for more visiting and bookstore events, plus Left Coast Crime, and flew home. And what did I see on a newsstand in the Salt Lake City airport? A copy of Sherry’s book! It amazes me to see you all write more than one series, and do it so well. You are quite worthy of the Goddess position, Leslie. Best of luck with the new series, and the old, and non-fiction, and the law blog…. Thanks, Ramona. Turns out writing two series has one unexpected advantage: one gives me a break from the other. And while I worried about keeping them straight, they occupy their own little worlds in my brain! Wicked friends, I’m traveling again today — driving to my hometown of Billings for a visit and a joint event at Barnes & Noble with a woman we all know, Tracy Weber, another hometown girl. I’ll check in when I can, but it will depend on WordPress letting me in from another computer, so cross your fingers — and know that I’m thinking of you! Have a great trip. Leslie. We’ll be here. No worries. Have fun and tell Tracy hi from me! Wonderful interview and super reads!! Thanks, Kay! And thanks, Wickeds, for hosting me today! I got to drive across Montana — 400 + miles — in glorious springtime weather, with the latest Flavia DeLuce mystery to keep me company. Talk about fun!